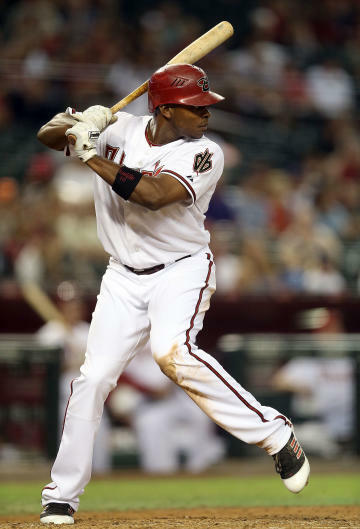 Arizona Diamondbacks outfielder Justin Upton blocked a trade Thursday that would have sent him to the Seattle Mariners in exchange for four players. The Diamondbacks have long sought to trade the talented, 25-year-old right fielder and appeared to find a match with the Mariners, who possess one of the deeper farm systems – and one of the weakest offenses – in the game. Upton's contract, which will pay him $38.5 million over the next three seasons, allows him to veto trades to four teams. The Mariners are on that list. It is not known if Upton has time to reconsider, given the alternative is to play for an organization that is eager to trade him. Fox Sports first reported Upton had nixed the trade. According to CBS Sports, the Diamondbacks were to receive infielder Nick Franklin, relievers Charlie Furbush and Stephen Pryor and one of three pitching prospects: Taijuan Walker, Danny Hultzen or James Paxton. The Diamondbacks are flush with outfielders. They are carrying Upton, Jason Kubel, Cody Ross, Gerardo Parra and Adam Eaton. They seemed intent on trading Upton and could engage – or re-engage – the Atlanta Braves, Texas Rangers, San Diego Padres and Baltimore Orioles in the coming days. Or, they could trade Kubel instead. The Mariners, meanwhile, could turn to other available outfielders, including Washington's Michael Morse or Miami's Giancarlo Stanton.